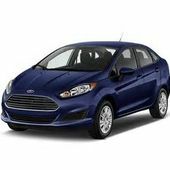 FORD Keyless Entry Remotes on sale. Most late model Fords come factory equipped with transmitters that will lock and unlock the door locks, trunk and back lift gate (or trunk) if equipped. More advanced Ford key fobs allow engine starter option or power sliding doors for minivans. Key fobs, transmitter are now an essential feature of every nicely equipped Ford. We offer different shipping options, from standard to express. For more information on shipping and discounts please contact our customer care at 866-690-4308 toll-free. Getting Ford products on our website will save you time and money.